The Amelia Motoring Film Exhibition returns Thursday March 7th to usher in the Amelia Concours weekend. Join us for an evening of cinematic stories of automotive culture and heritage featuring Running with Pop and A Sicilian Dream. Plus a look at the latest Hagerty Why I Drive and Redline Rebuild episodes. Once again we’re waving the checkered flag on the Hagerty Touring Series – Amelia Island or Bust Edition rally with participating vehicles will be on display during the event, giving guests a chance to get up close and personal with these marvelous machines while enjoying complimentary hors d’oeuvres, cash bar and plenty of popcorn. This event is SOLD OUT as we have reached seating capacity. Please join the wait list and you will be notified if additional tickets become available. Amelia River Golf Club 4477 Buccaneer Trail, Amelia Island Florida (5 minutes from Ritz-Carlton). Turn onto Shannon Road off Buccaneer Trail – look for the signs! ‘A Sicilian Dream’ is the story of the Targa Florio, the great road race formerly held in Sicily. Alain de Cadenet and Francesco da Mosto head to the ‘Granary of Italy’ in Alain’s Alfa Romeo to explore the course of the long-distance classic and its history. 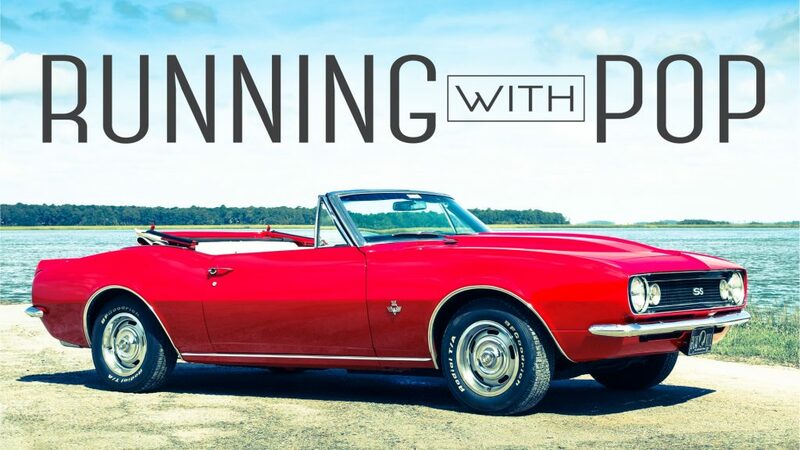 ‘Running With Pop’ is a short documentary that discovers how a dilapidated barn-find car can create a powerful family connection. This rescued and lovingly restored 1967 Camaro Convertible with strong local ties is back on the road after a few years of hibernation. Tickets $20 available through Eventbrite. Click logo below to purchase tickets.